The ACEA (French acronym for European Automobile Manufacturers Association), which reports the EU registration data, blamed this debacle on the “introduction of WLTP in September.” This is the new emissions and fuel-economy testing procedure for automakers in the EU. There was a tsunami of discounting by automakers over the summer to get the maximum number of vehicles registered before September 1, when WLTP would become effective. For example, in August, VW warned that only about half of its major VW models in Germany, such as the Golf, were compliant with the new testing regime. And the non-compliant units had to be either sold before September 1, or recertified under the new regime. Hence the herculean efforts by automakers to boost registrations by hook or crook before the September 1 deadline. 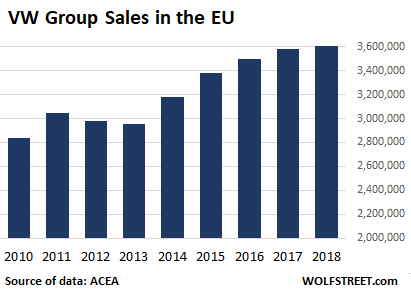 This included the common strategy in the EU of automakers registering their own units as sold to pump up the numbers and beat the September 1 deadline. This had pulled a lot of sales forward. So in June registrations rose by 5.2% year-over-year, in July by 10.5%, and in August by a whopping 31.2%. The noncompliant vehicles that were not delivered before September 1 had to be recertified under the new standard. So after front-loading registrations, which had pumped up the numbers over the summer, there was a hangover in September, when registrations plunged 23.5%. But in early October, most of the recertification problems had been solved. For example, VW announced October 5 that all its bestsellers were compliant with the new regime. And yet, sales continued to drop every month since. 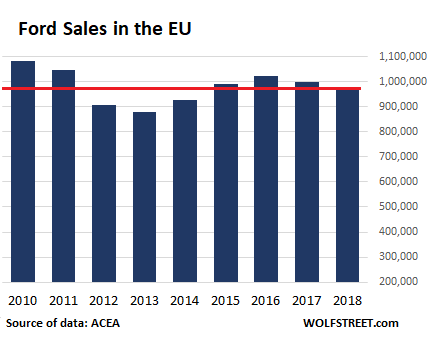 Demand growth was driven by Central European countries where new car registrations rose by 8.0% in 2018. In tiny Lithuania, registrations soared by 25.4% (to 32,447 for the entire year). In Poland, registrations jumped 9.4% to 531,900. Registrations also soared in Bulgaria by 9.9%, in Hungary by 17.4%, in Croatia by 18.7%. In Southern Europe, registrations in Greece jumped by 17.4%. But many of these markets were also hit by sales declines at the end of the year. 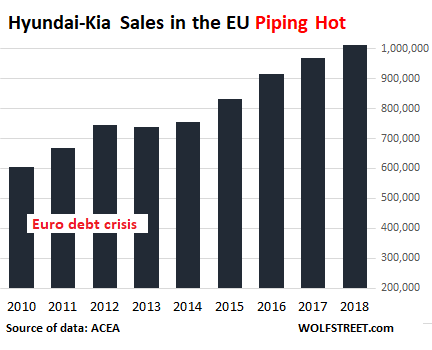 At the other end of the spectrum, in terms of success, is the Korean automaker Hyundai-Kia whose sales growth barely slowed down even during the euro debt crisis. Combined sales have surged 68% since 2010 and in 2018 exceeded 1 million units for the first time ever, leaving both Ford and Opel/Vauxhall in the dust. Market share has jumped from 4.5% to 6.7% over the nine years. 2018 was marked by record low interest rates on consumer loans, thanks to the ECB’s interest rate repression that consisted of its negative-interest-rate policy and QE. These low interest rates might have boosted purchases over the past few years. But toward the end of 2018, they no longer seemed to have any magic in them. 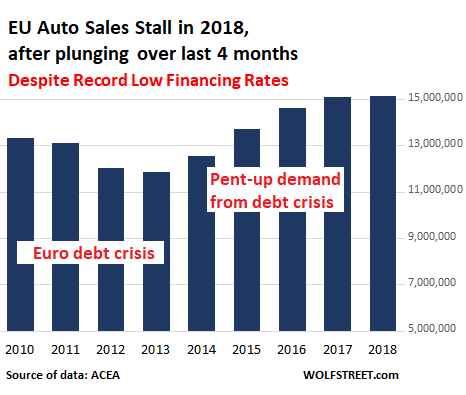 Also the pent-up demand from the euro-debt crisis – it had pushed sales down sharply from 2011 through 2013 – helped sales over the past few years, but that demand too seems to have been exhausted. When any economy functions under a fiat system e.g. all of them, the amount of money in circulation, of course, exceeds the assets in existence. Like someone using a credit card to boost their purchasing power. This buy now pay later attitude was tempered historically via high-interest rates, but the credit binge that consumed for the past decade destroyed savings and created a zombie economy with poor people pretending to be middle class. Classic cars, painting, beachfront property, stocks, even old instruments everything was juiced up. Back to the article, of course, unfettered purchasing was impossible, the real question is can the world (aka the banks) learn to cope with an economy not subject to eternal growth. The real question is how many Dali’s dows Wolf own? no big surprise here. when an economy turns down people either hold off buying a new car or go down market. hyundai makes a full range of vehicles and they are laser focused on offering the best value proposition. Ford has been suffering in China. They have a reputation for fighting with its partner companies tooth and nail. They have been in China twenty years, and are just figuring out how to make money there. GM, also there over 20 years, makes more profit in China than in America. VW has been making money for over 40 years there. Being from the industry, is this really a surprise, next up the US. Dealers in SF next week will be a little jittery, best to concentrate on service and parts, the only place where margin lives in auto space. 120 million cars in last 7 years makes it necessary. All the CP growth ready for fixed ops to lead the way again. Dealers who have GM’s with zero clue on fixed ops will be beat up….. Yes, thank god for parts & service. And used… that should continue to do well. I have been in the past both a UK Hyundai and Kia dealer. I was a Hyundai dealer in 2008 when the UK Government £2000 part exchange scheme for old ‘clunkers’ began. I can confirm that their instant response was to gain as much advantage and market share as possible. Hyundai sales even matched Ford’s for a short period of time. Their determination is relentless and they have replaced even the Japanese as a cooperating pair of linked Companies that will exploit every opportunity to maximise their sales and increase their world wide sales to Toyota and VW levels. World Wide Five I believe Hyundai called it. 5% that is. Other manufacturers had better watch out. Their ability to manufacture lower priced non prestige cars in low wage Countries is and will continue to devastate manufacturers in the high wage western economies unless political action is taken. Pres. Trumps actions regarding cars made in Mexico and China are perfectly justified and basic common sense if long term considerations are taken into account. Only until the CHN Makers step in. I grew up in JPN via the US Navy; and had School Field Trips to Nissan’s Plant in Tokyo Bay every Year. That changed to Visiting my JMSDF Sister Ship as a Junior Officer. Have Friends, Relatives, and Relatives of Friends in the USA and JPN Auto Industry. A Cousin was an Exec for one of TM’s Subs. Hopefully, the Changes will benefit most Regional Laborers and Professionals. For the Record, I’m all for Tariffs and Domestic Production Requirements. 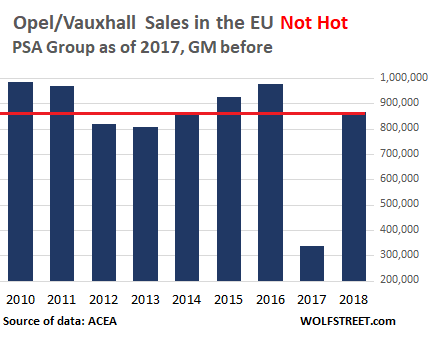 IMHO, I think EUROZONE Based AutoMakers might be at a Disadvantage for Lower Priced Segments going forward, since the AutoMakers have their Home Nation-State Economies to Sustain. The USA Domestic AutoMaker Production Profile are in Shambles due to NAFTA and Low Tariffs. H Ross Perot was spot on. POTUS Trump’s USMCAN/NAFTA-LIGHT didn’t address the Domestic Content Issues Either. Kia UK would notch up an extra 2019 registration if HRH replaced the Kia Sportage with a new one for the owner as promptly as someone has replaced his Freelander. just watching this Barrett Jackson, and wondering if this is the ‘pop’. if i have been paying attention, the average seems to go up with each day. maybe this is the tv observer effect, dunno. im not counting cars/prices (or number of events held per year, which they may have reduced and thus having more cars per televised event) so i could be wrong. we could be into the 75-100k average by tomorrow, if we aren’t there today. weekend prices are gonna be silly. i hope i’m wrong. This is the Barret-Jackson (‘B-J’) MO. Their auctions typically run Wed-Sun. Early in the week are the lower-value “collectors’ cars,” building to the real, high-priced–sometimes, grossly overpriced–high-value cars on Sunday (that’s why the average selling prices go up each day). I’m a car buff, and try to keep track of the sales prices as I own a couple of ‘collectibles,’ but the cattle auction vibe and the hard sales tactics are off-putting (other auctioneers, like RM Sotheby’s are lower key). The stereotypical buyer at B-J is a successful, late-middle-aged plumbing contractor, who has been plied with alcohol, with his trophy wife on his arm who just ‘has to have’ the shiny Corvette or Porsche on the block. They really aren’t all that subtle about it. Forgot to mention: both the buyer and seller pay a 10% ‘premium;’ so the seller of a car that hammers at $100K gets $90K, and the buyer pays $110K to B-J. Nice work if you can get it (they do put a lot into vetting the cars, staging, etc.). 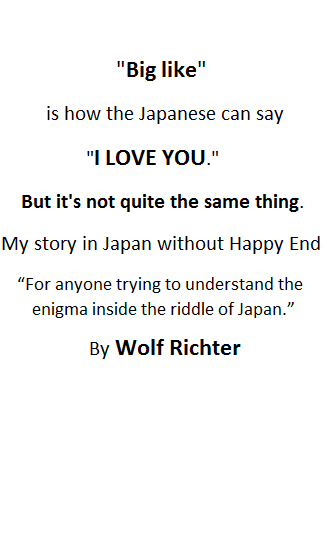 Great insights Wolf which illustrate a couple of interesting things. Given the enormous impact of this guideline, it’s safe to assume that the people who wrote it (VW et. al.) tried to make it as cumbersome as possible for their competitors which of course is the purpose of most EU regulation. The fact that Hyundai-Kia took this hurdle in their stride goes to shows their ability and determination, riding a trend of customers just wanting cheaper cars. Entry level Eiropean sales is interesting. From carsalesbase Fiat Panda and Dacia Sandero are roughly on par with near yearly 200 000 units each. Bare they both start around 6000 eu mark, are the “most economic”. Slightly more expesive is the Kia Picanto which is around 60 000 units per year. There are a few other offerings in this price band without more sales than the Kia. Once you edge up around and above the 10 000 eu mark a whole new set come in. Most are also smaller vehicles, Fiat 500, Nissan Micra, Ford Ka + etc. , a lot of sales in this group and the mid range also, for some models near the main two entry level numbers. The Micra and the Ka started as entry level with sales around 150 and 200 000 respectively. Now they are both well over 10 000 eu and the Ford latest version is around a quarter, the Nissan a little over half, of their original sales volume. Well I guess profits don’t nescessarily come from number of units sold, and as they all tend to look the same nowadays there is probably no prestige to be had filling the streets with own brand. New Micra isn’t exactly mini anymore, same is true for the Ka. But with that you loose the cheapest new car and smallest car markets so losing so much volume is to be expected. Around 90% of ‘sales’ in the UK are three-year leases, handed back at that point to upgrade to the next shiny new metal box to make your neighbours jealous of you. Suspect pretty much the same in most places. So when the market becomes saturated with 3 year old low-miles machines looking for owners, it’s not really surprising that ‘sales’ of new cars begin to suffer. Yet another price to be paid further down the road for keeping stockholders happy today. What do you mean with lease? Private lease, corporate lease as part of wage package, commercial vehicle lease? I have no doubt that the % of lease is very high for personal transport vehicles but i doubt it is 90%, can you show me the figures. Lease depend very much on tax law so it can change very much from tax law to tax law but it is true that most new cars are not bought with cash from the buyer but from the lender or lease company. I don’t think this has changed much in the last decades. Added point is the uncertain future of diesel and gasoline cars so leasing a new car may be the smart option, especially if you need to get a loan for it anyway. If there are to many 3 year off lease now that new sales will suffer than in 3 years there wont be enough 3 year old cars and there will be bumper new car sales. Don’t see how it would change anything in the long run. I have to admit that i didn’t believe 90% of new car sales was true so i looked it up. The latest figures released by the Finance & Leasing Association (FLA) show that the point of sale (POS) consumer car finance market fell by 1% in November, compared with the same month in 2017. So it is not 90% but 91.2% financed.